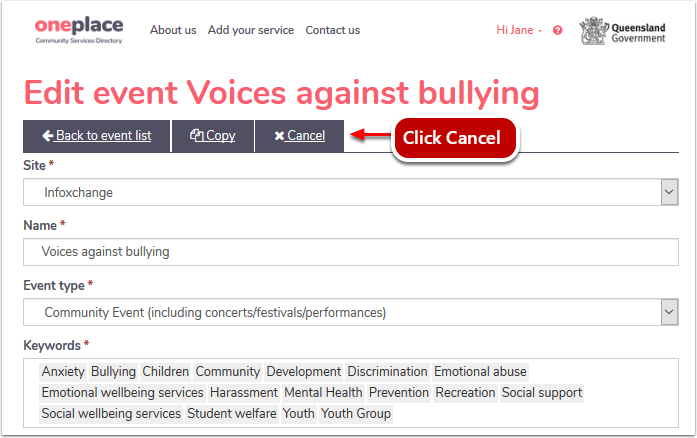 Logged in users of oneplace are able to cancel Events that they or someone else in their organisation has added. Locate the event you would like to cancel in your organisation. Click on the cross Cancel icon next to the event you want to cancel. Click Yes, cancel this event to confirm. 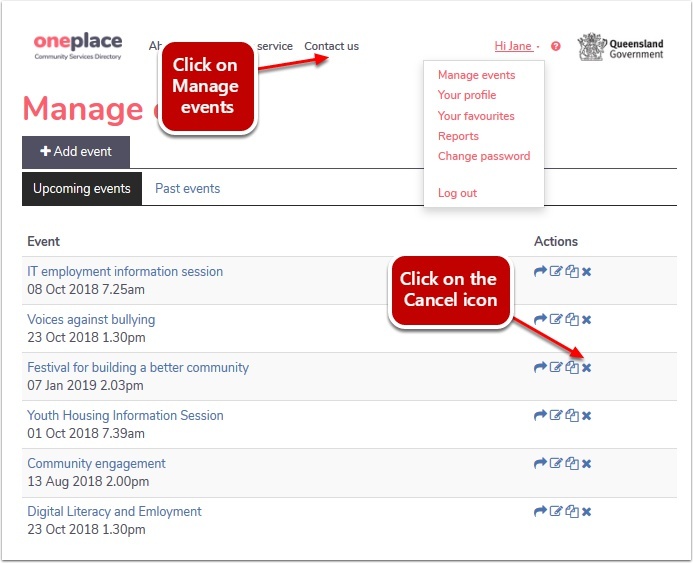 View the details of the event you want to cancel. 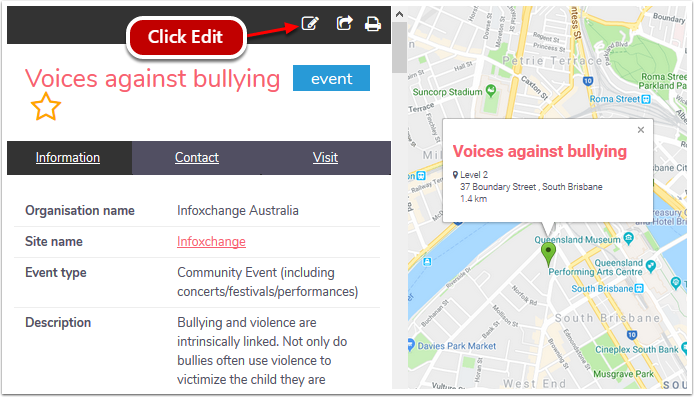 Click on Edit in the grey area above the event name. At the top of the form, click on the Cancel icon in blue.